Charles Lewis casts his vote from the front row. 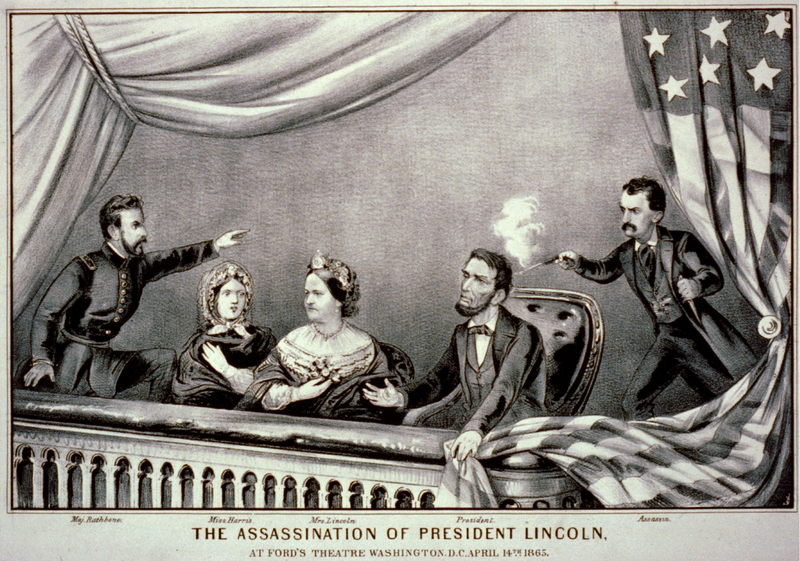 US presidents don’t have the best history with theatre. It wasn’t just my incessant hunt for a “real people” job, it wasn’t just my putting serious attention towards my Olympians script, it wasn’t just my anger over Alton Sterling and Philando Castile winding up the latest casualties of racist White cops when their only “crime” was being Black in public. It wasn’t just any of those things, it was all of that and more. Still, my mind had something on which to focus and began researching. Unable to procure a copy of Thomas Bogar’s American Presidents Attend Theatre on such short notice (plus the police activity yesterday made travelling into The City next-to-impossible), I still perused the preview pages on Amazon. It was interesting to see that George Washington had a life-changing moment after watching George Lillo’s The London Merchant and then drew great inspiration from Joseph Addison’s Cato about a man who stands up against the tyranny of Julius Caesar. Neither the playwrights, actors, or fellow audience members knew they were inspiring one of the most powerful political revolutions of all time, but every artist dreams of having such a lasting impact. Just as I’ve never experienced Hamilton – other than knowing of its ubiquitous popularity – so too have I never experienced a play once just as popular: Andrew Lloyd Webber’s Cats. At the risk of turning in my lifetime membership to Theatre Geeks United, my only knowledge of the TS Eliot-based musical is just that people hate it. I’ve never even heard “Memory” past the lyrics “…all alone in the moonlight,” so I couldn’t tell you if it’s worthy of Jack Black and Kevin Smith’s scorn (the latter of whom called the musical “the second-worst thing to ever happen to New York”) or if it’s actually a moving piece of musical theatre that’s remained just in my periphery. I know that Cats’ smashing success is attributed to pandering to the populace without actually challenging them intellectually. Every choice paints an interesting – if only partial – portrait of who each politician is as a person. Although the Kennedy Center galas get live press coverage, there’s something about the artistic choices a president makes out of pure leisure that gives us just a glimpse into the gears that move in their minds. Neither of the aforementioned theatrical excursions will be remembered as much as Lincoln’s infamous trip to Ford’s or Marilyn Monroe singing to JFK in Madison Square Garden, but they give enough of a glimpse to create a picture of how each will be perceived in the years to come. In other words: they give artists something to work with. Pondering this got me thinkin’ about the guy currently sitting in the Oval Office. He’s the one on the right. Before the Clintons saw Hamilton, President Barack Obama and his family caught the show during previews in July of 2015. He then famously hosted the entire cast at the White House earlier this year. The first bi-racial President of the United States hosted the multi-racial cast of a play dramatizing the Founding Fathers. There’s a sentence I never thought I’d ever write. I can only wonder what said Founders would have thought of the musical, had they seen it. With all the advances in technology and evolution in musical tastes, I dare say the fact that it’s a theatrical production is probably the one element to which they’d directly relate. So it begs the question as to what sort of plays we’ll see about Barack Obama one day? There’s been at least one major attempt in Germany, but no such high-profile productions in the US. As I began pondering what I expected to see in a play about Barack Obama, I suddenly remember that I’m a playwright and started wondering how I’d write a play about Barack Obama. It would most likely be about how everyone considers him “not quite” or “not at all”. He’s the first Black man to take office, but his father wasn’t descended from the slaves who spawned the rest of us. Despite conspiracy theories, he was born in the United States, but he’s the first to not be born on the mainland. He was given the Nobel Peace Prize soon after he took office, but also oversaw some of the bloodiest US attacks on foreign citizens. He’s Commander-in-Chief of all US armed forces and law enforcement, but he’s also the first president who could speak first-hand about being the victim of racial profiling and police harassment. Electing him was one of the most progressive acts ever carried out by a first-world nation, yet racial tensions in the US are as high as they’ve been in decades. He passed bold legislative changes despite facing a level of opposition not shown to a sitting president in most of our lifetimes. 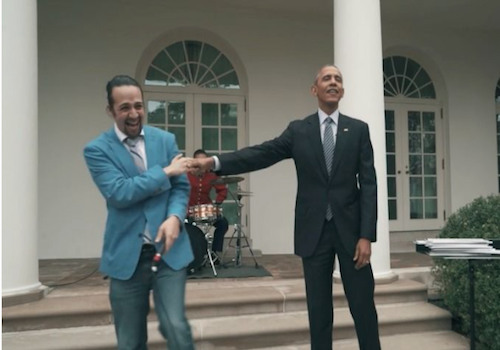 Barack: You Can’t Please… well, Anyone, a play by Charles Lewis III. Coming as soon as I finish my Terence adaptations (that part’s actually true). As I settled my mind down from running in several opposite directions, I thought less about how our presidents are perceived in plays and more about how they feel giving their citizens access to those plays. Obama’s hosting of the cast of Hamilton was to emphasize the importance of arts in America; the paradox being – as my Thursday column predecessor frequently pointed out – that funding for those arts is harder and harder to come by. The way a nation treats the arts is often a reflection of what they think of their citizens: if arts are funded well, it suggests the people have a voice and are encouraged to use it; if the arts are underfunded, it suggests the people are merely cogs in the machine. That’s what I’d like to see more than anything. No matter what’s eventually about a president in book, film, or even a play, I’d like to know they worked their hardest to ensure future artists had the means and the venues with which to perfect their craft. I’d like to see fewer politicians and dignitaries attending shows they know the public can’t afford and more of them attempting to venture out into the mysterious land of black boxes (we’ll make room for the Secret Service, we promise). I’d like to see them go beyond mere campaign promises and actually prove that art matters. The catch is that art, like politics, can just as easily split people down the middle as it can bring them together. But hey, “I’d rather be divisive than indecisive,” right? That’s from a musical, isn’t it? Charles Lewis III thinks that if you care about art and politics, you should donate to this year’s SF Olympians Fest IndieGoGo. Why? ‘Cause the Greeks invented democracy, Olympians is one of the best theatre fests in Northern Cali, and the plays frequently inspire heated debate. Claire Rice, here to slap your new year in the face with some hard-hitting journalism. These were my first lessons in how important awards really are. 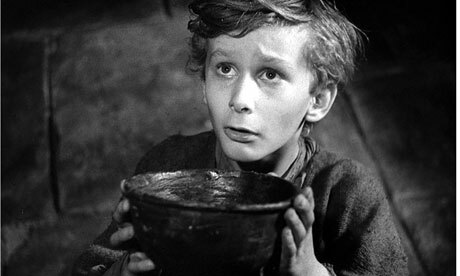 Please sir, I need a little something to fill out my CV. There is big money to be had out there. More important than the Critic’s Circle or BroadwayWorld.com, the best major grants are awards that recognize past achievements and the potential of future achievements. This year the Andrew Mellon Foundation gave $3.7 million dollars for playwriting residencies all across the country. Awards went locally to ZSpace to hire Peter Sinn Nachtrieb and to Cutting Ball to hire Andrew Saito. I haven’t talked to the Mellon Foundation myself, but I can’t help but feel this award was given in large part because of the book “Outrageous Fortune” and the national conversation about the state of new play development in the United States. If so, it was given in an effort to effect change on a national level. Mellon was using its money to talk. The Mellon Foundation is privately funded and isn’t accountable to the general public for its actions. The National Endowment for the Arts, on the other hand, was founded by Congress. Wikipedia said, at the time this article was written, that the NEA is the largest grant-maker to arts organizations in the nation. That fact needed a citation so, it’s hard for this piss poor journalist to say. What I can say is that someone had the balls to type that into Wikipedia in 2012 and no one had refuted it at the time of this writing. So, we’ll say it’s true enough. So, what is NEA money saying? The total budget for the NEA was $158 million dollars, which is about half of what the Washington Post says the Affordable Care Act’s website cost. The NEA keeps a wonderful search tool on all the grants it has given out since 2000 here: http://apps.nea.gov/GrantSearch/SearchMain.aspx. Since 2000 the NEA has given over 300 grants totaling over $6 million to just about 70 Bay Area theatre companies and supporting organizations. The smallest grant was in 2003 to American Conservatory Theatre for about $2000 for pre-production support for the world premiere of “Malaya” by Chay Yew, a play A.C.T. has yet to actually premier. The largest grant was made in 2013 to Berkeley Repertory for $75,000 to support Marcus Gardley’s play “The House Will Not Stand” which opens January 31. Compare that to New York, who’s theatre companies received almost 900 grants totaling over $25 million. 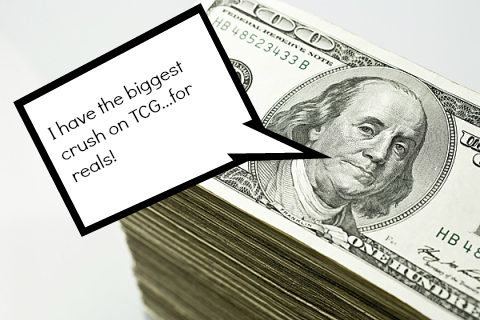 TCG received the largest grants consistently since 2000 with the largest sum of money being $380,000 in 2000, 2003 and 2004. The Lincoln Center received $100,000 to produce “War Horse.” The smallest sum was $5000 to support Amas Musical Theatre’s production of “Four Guys Named Jose”. Chicago, on the other hand, has only received about 195 grants totaling just over $4 million. It’s smallest grant was to the American Theatre Company for a reading of a new translation. The largest grants were for $100,000 each for Steppenwolf and the Goodman Theatre, both were to support world premier productions. Minneapolis has been awarded just over 140 grants totaling almost over $3 million dollars. The smallest was $5,000 to Pangea World Theatre to support new works. The largest was $100,000 to Mixed Blood Theatre company to support two new works. Of course, cities all over the United States received funding, this is just a very small sampling. Also, I’ve only looked at projects that were listed under Theatre. This does not include any of the other multiple categories that theatre companies might apply under for funding (including dance and music). No one reading this will be surprised that New York also receives the lion’s share of the NEA pot. What this spot check shows is that the majority of NEA funding is indeed going to new works and organizations that support new works. It isn’t all world premiers either, there are rolling and regional premier. Apparently “Ragtime” didn’t make its way to Austin, Texas until 2012 so it counted as a regional premier according to the NEA grant. So, this writer feels that the NEA has been saying since 2000 that it supports new works and the creators of new works. If you look over the lists and lists and lists of grantees you’ll find all of the usual suspects, but the projects being funded are incredibly diverse. The NEA grants tell us that, yes, New York is still the center of American theatre. What they also tell us is that the NEA is so full of hope. The NEA isn’t thinking about risk. So often new works are associated with risk and trouble. “Will we fill seats? No one has heard of this playwright or this play.” But the NEA is saying it believes in new works and the artists and organizations creating them. I encourage everyone to go and download these reports and create wonderful diagrams on gender equity, ethnic diversity, zip code funding disparity and anything else and everything else. It’s all right there for your to create beautiful charts and graphs to measure all kinds of things. And while the numbers may tell you that the NEA has hope for the future, they won’t tell you the actual future. Rocco Landesman stepped down as chairman in November of 2012. He was appointed by President Obama in 2009. Senior Deputy Chairman Joan Shigekawa is filling his role until a new Chairman can be appointed. President Obama has yet to nominate a replacement for Landesman. Also, Ralph Remington, the NEA Theatre/Musical Theatre Director, left in November. His seat is also still empty. The senate will vote to confirm Janet Yellen to the Federal Reserve on January 6. I’m sure finding someone to fill the empty seats at the NEA is totally on the to do list. Probably. There is more to worry about than just a slow bureaucracy having a hard time catching up. After the government shutdown and a continuing power struggle, politicians on both side of the isle are considering what should be considered “necessary” funding. Writers like Rick Smith, who asks if America still needs the NEA since we now have Kickstarter, aren’t helping. The Washington Post found arts administrators across the board are feeling edgy about the vacancies “Without a leader who can champion its initiatives — or defend its mere existence — the NEA flails and tends to lose funding, experts say.” You can read the full article here. The NEA is a common and easy target for Republicans, Social Conservatives, and budget cutters. And since theatre organizations are generally hinging their budgets on $10,000 NEA grants, it’s doubtful that there is a lobbying voice that will be able stand up for the NEA in Washington with any real power. And looking at the top lobbying clients, I don’t think any of them will stand up for us either. $158 million dollars isn’t a large piece of the pie when thinking about the national budget, and it’s possible that the smallness of the number is what makes it seem so unnecessary. Too little funds are spread too thin to too many places. American Conservatory Theatre received $30,000 for the production of “The Orphan of Zhao” from the NEA. It received $326,000 from San Francisco Grants for the Arts to support the entire season. Go ahead and plan your Oscar Awards party and scoff at the ridiculousness of it all. I also look forward to sitting with you at a bar and complain about how BroadwayWorld.com awards are strange and meaningless. As Theatre Bay Area gears up for its first year of excellence awards, I look forward to the debates about how much weight a piece of paper or a plaque should be given. Only time will tell if new local accolades will mean increased funding opportunities. Where does legitimacy come from? What comes first: the accolades or the funding? Is there a funding source that carries more legitimacy than another? Lastly, if the NEA isn’t seen as a legitimate way to spend government funding, how do we change that? Should we give them an award?